Elizabeth Streb’s Fall Line and Ringside were two dance works presented together as part of the Dancing in The Kitchen series. Fall Line, performed by Elizabeth Streb and Michael Schwartz, was danced on a “hill,” a 35-degree inclined plane that required them to utilize their arms and legs for support. 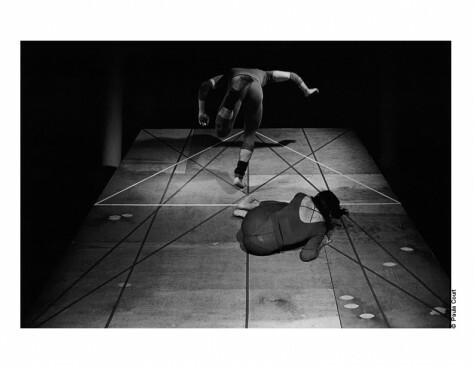 Streb’s solo work, Ringside, focused on the limitations of dance movements in a confined space. To demonstrate this, she performed a multitude of different actions on a slightly tilted disk.